Field of Specialisation: Genetics, Genomics and Molecular Genetics of Human and Animal Systems; Cellular and Developmental Biology and Neurobiology of Human and Animal Models; Molecular Genetics of Complexes Diseases (Down syndrome; Diabetes and Obesity). 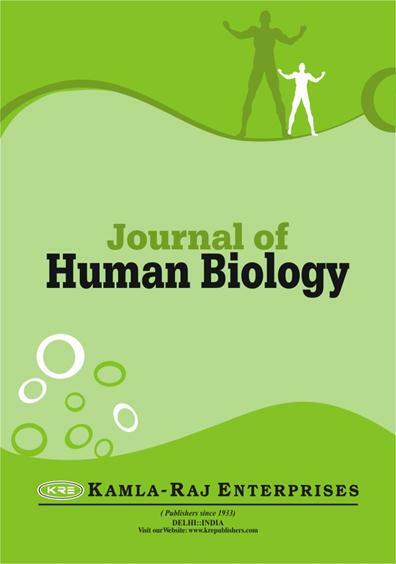 AIM: The Journal of Human Biology (J Hum Biol) is designed for prompt publication of original and significant articles in the field of Life Sciences. It aims to serve as a forum of human biologists and health professionals, especially those who share common interest in understanding man. 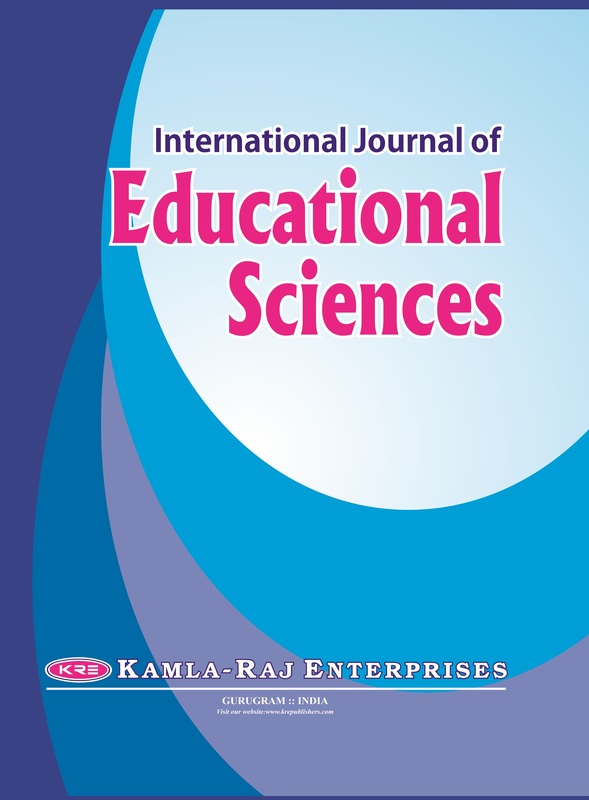 Review of Paper: The contributors may send the papers to the Administrative Editor with the names of at least three Referees in the field of specialisation as the subject of the paper demands to whom we may request for review of the paper (Please provide separate List of Referees for each paper) The Referees should be other than the Members of Editorial Board of the Journal, who are known to you and aware of the research activities of your Department/Institute, but are not from yours' Department/Institute (Please provide their postal & e-mail address and field of specialisation). The possible exceptions are in the case of occasional invited papers and editorials, or where a partial or entire volume is devoted to a special theme. ACCEPTED PAPER: After final acceptance, the disk along with the final and exactly matching printed versions with the underlining clearly marked should be submitted or e-mail the text to kre@airtelmail.in. Acceptance of paper will be acknowledged via e-mail. DISK: We can accept files created by MS Word. The disk label must contain the information — your name and name of text file(s) containing your submission. Footnote text should be placed as endnotes following the last page to text. AUTHORISATION AND DECLARATION: Authors must accept full responsibility for the content of their articles. The Members of the Editorial Board and the Publisher of the journal are not responsible for the statements and opinions expressed by the authors in their articles/write-up published in the journal. It is also for the authors to seek the permission whose copyrighted material they may use in preparation of their manuscript. While submitting the paper the author (s) must give a declaration that, “the article has not been published or sent for publication elsewhere”. RUNNING HEAD:Not more than 40 characters (including spaces) should be identified on the title page. PHOTOGRAPH: Photograph should be sharp for reproduction (maximum size for photographs is 120 x 180mm/80x160 mm). The cost of the reproduction of black and white and coloured photographs will be borne by the author(s). Bose, Kaushik 2005. Anthropometric Assessment of Nutritional Status of Adolescents of Kolkata, West Bengal. J Hum Ecol, 18(3): 213-216. Bhasin MK, Walter H, Danker-Hopfe H 1994. 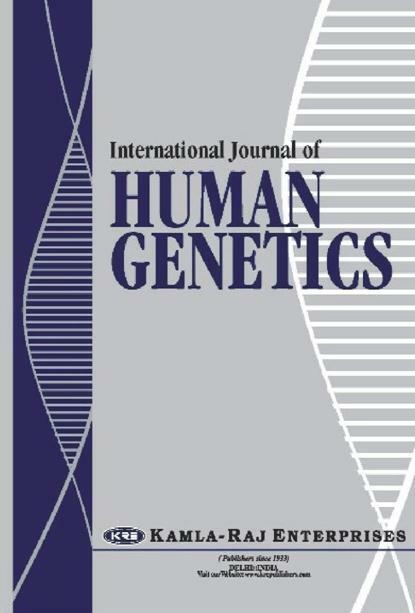 Glucose-6-phosphate dehydrogenase and abnormal haemoglobins (HB S and HB E) in people of India. In: Veena Bhasin (Ed. ): People Health and Disease: The Indian Scenario. Delhi: Kamla-Raj Enterprises pp. 131-159. Bhasin MK 2003. Genetics of Castes and Tribes of India. Paper presented in the Seminar on Peopling of India at Central Forensic Science Laboratory. Kolkata, March 19 – 20. PROOFS: A single set of page and illustration proofs will be sent to the corresponding author for correction of typographical errors only; alterations other than correction of printer errors will be charged to the author. All corrections should be marked clearly, directly on page proofs. OFFPRINT: These may be ordered at prices shown on the order blank accompanying proofs. No free reprints are supplied, but any number in excess of 100, with or without covers, may be purchased. The order, along with payment, for reprints and extra printed pages (if paper exceeds twelve printed pages) should be sent with the corrected hard copy of the galley proofs.